The training partnership of Peter and Paul Snowden defended their title in the Percy Sykes Stakes (1200m) as Anaheed won her third race at Randwick on Saturday. Anaheed ($8.50) survived the late-closing effort of Flit ($6), who flew from her rearward position to be beaten a nose, just missing out on giving Godolphin their 28th Australian two-year-old winner for the season. "I always thought she was going to be a better three-year-old," said Paul Snowden. "The owners were over this week and ran their eye over her and giggled to each other because they've got a nice filly." Winning jockey Tim Clark described Anaheed as a 'nice filly' that he's 'pleased to be associated with'. "I had a different horse going to the barriers today, I knew I was in play," Clark said. "She travelled so well for me and cannoned past the leader. She still gets to the front and gets a little bit lost. She wandered around a little bit still. "She's got very good ability and I think with her runs spaced she reacts well also. "I thought that was quite a deep race today. They are the best fillies we've got. "She was able to work early and still hold them off." Anaheed has raced six times for three wins - all her victories coming at Randwick. 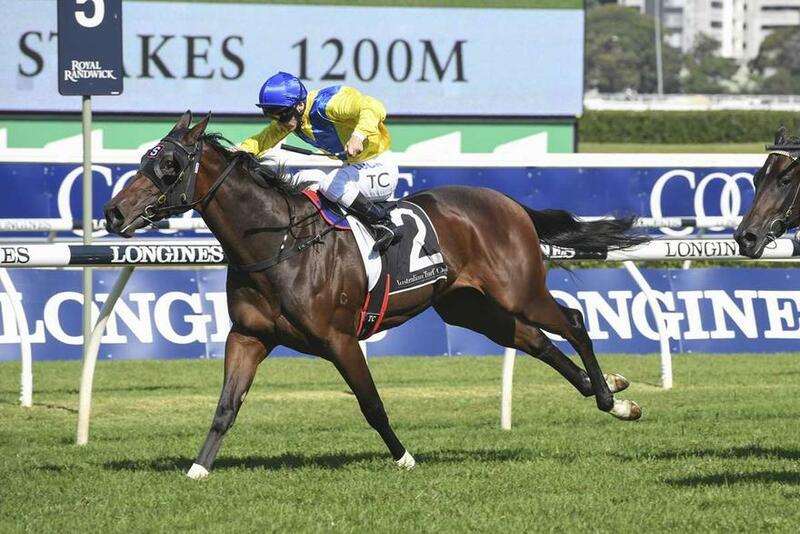 The daughter of Fastnet Rock won the Victory Vein (1000m) in October and then won the G2 Sweet Embrace Stakes (1200m) in March. Her only defeat at Randwick came when enduring a tough, wide run in the G2 Reisling Stakes (1200m) and finishing fourth. Anaheed ran sixth in last month's G1 Golden Slipper Stakes (1200m) at her most recent run before the Percy Sykes. The Snowdens have won seven two-year-old Stakes races this season.